I Love You More Jewelry, Order Unique Necklaces at Nano Jewelry Today! Celebrate a love without boundaries with this unique necklace! Seasons come and go, yet the love you feel for your life’s companion grows ever stronger. You know it to be true deep within your heart, so why not let the rest of the world know as well? 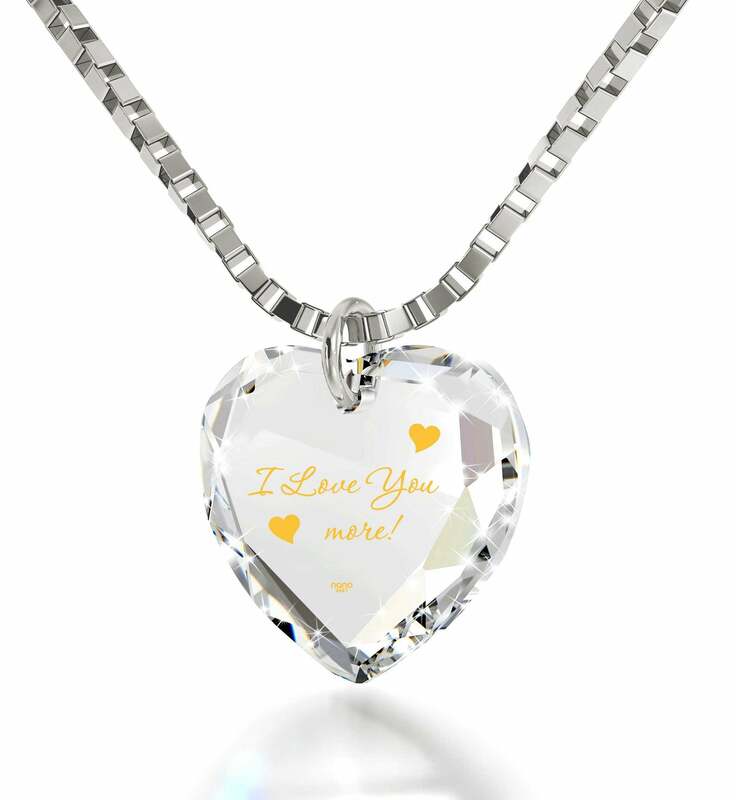 If a special occasion is drawing near and you’re in need of a 7th anniversary gift for her that shows the passion is still burning bright within you, an exquisite piece of I love you more jewelry is the perfect gift to make the occasion truly extraordinary. 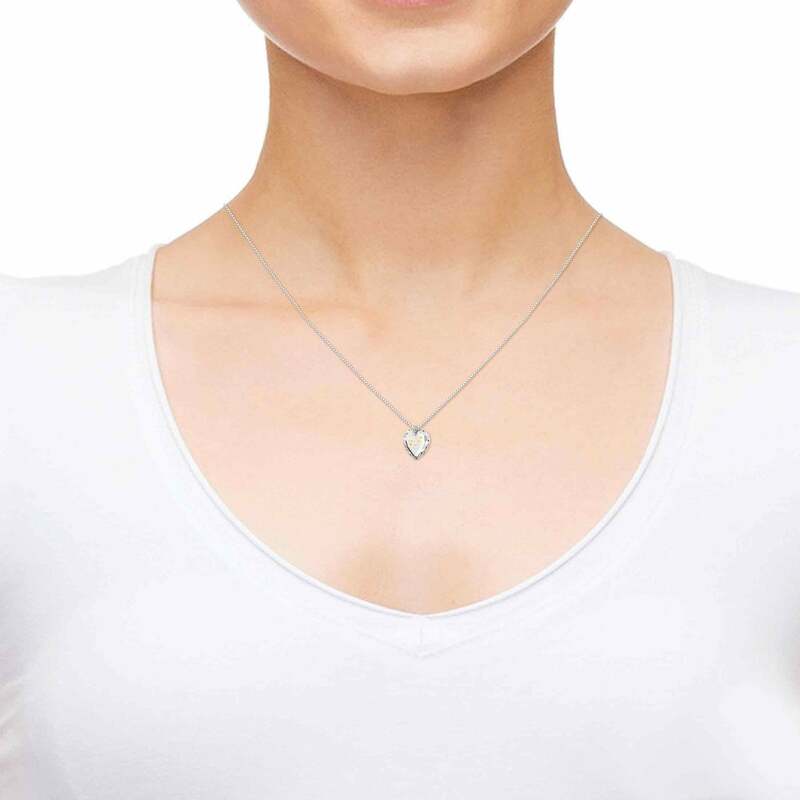 The best womens gifts have more to them than you’d discover with just one glance, and this unusual necklace is no exception. Sure, she’ll be able to tell right away that its quality is unquestionable from looking at the 14k white gold chain alone, but what genuinely makes this gift stand out is the intricate description found on its heart-shaped cubic zirconia gemstone. Made with pure 24 karat gold, it will never fade away or lose its golden shine. 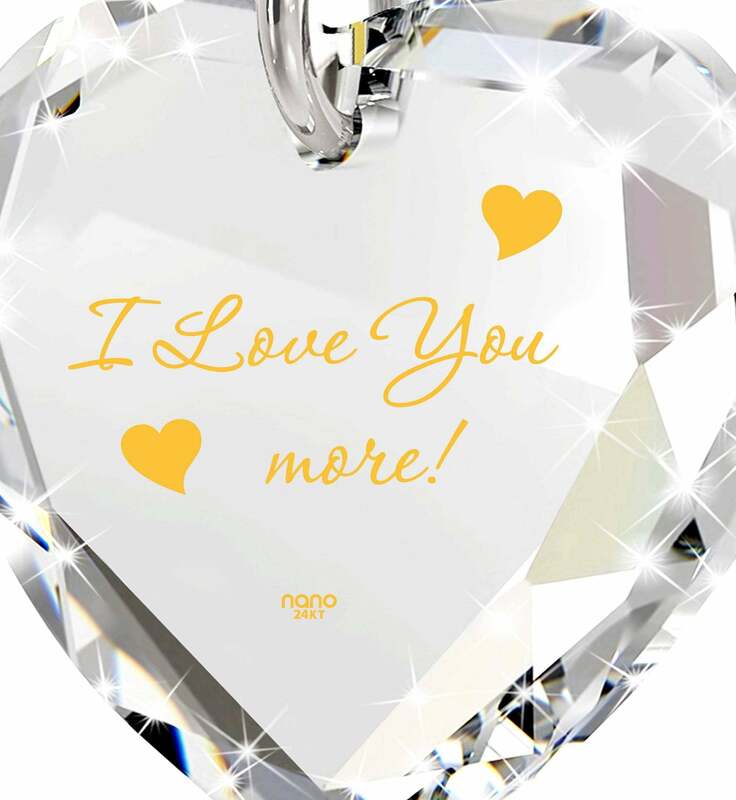 Literally no one in the world can create such finely-detailed golden images, making this a unique gift for wife that befits the person who means so much to you. Inscribed is the affectionate message “I love You more” along with two dainty golden hearts. 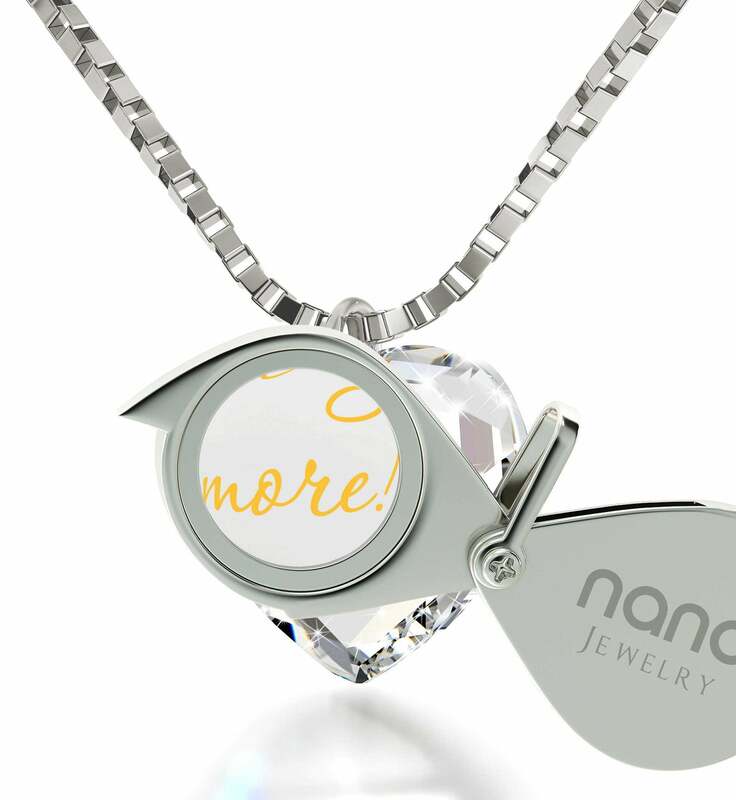 She’ll love to trace the delicate lines of each letter with the help of a special magnifying glass we’ve also included as part of this top womens gift. A lavish box brings it all together into one sublime gifting experience that she is sure to adore. 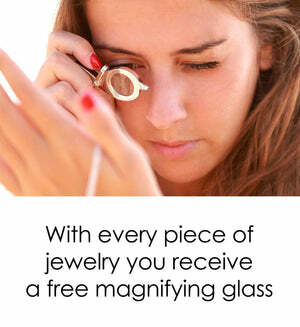 Just create a nice romantic mood and let this precious gift take care of the rest.